PRAYER PROMPT ••• Today is the first day of the last month of the year. I feel like 2017 just started, but here we are, running out of year with another one ready to start. 2017 hasn’t been an easy year for many. Beyond the acts of terrorism and violence that have made headlines, many have struggled with sickness, loss, and heartache. Why is God allowing all this to happen? Why can’t we just enjoy some peace? And therein lies our key point for today. The simple truth is this – the peace we look for in the world doesn’t exist. If it did, we’d have perfect lives, and if anyone claims they have such a thing, they are delusional. The problem is that people expect peace to mean an absence of problems. That’s not going to happen this side of heaven. Authentic peace is otherworldly, and it has one source – Jesus Christ. 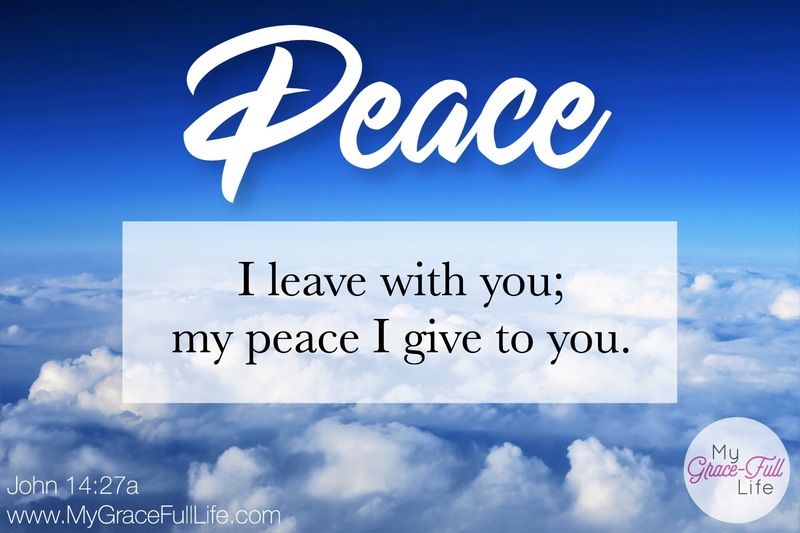 The peace we experience from Jesus comes through our trust in Him. When we look around at the chaos of the world and the trouble in our lives and know, from the bottom of our hearts, that He is working out all the details to His great purpose, our why’s don’t matter anymore. He floods our hearts with peace because we have acknowledged His sovereignty. And we can have it, but it’s not the world’s definition of peace! Still, Jesus offers it generously to those who love Him. When you hear of peace this Christmas, remember the source of it all. He arrived in Bethlehem, grew to be a sinless man, and allowed Himself to be the ultimate sacrifice for us. His pain and death are why we can have peace; because of His great, immeasurable love. Today, as you pray, thank Jesus for the peace He offers. Thank Him that the peace He offers isn’t the kind the world seeks (John 14:27), but is the heavenly peace that is beyond our human understanding (Philippians 4:7). Thank Him that no matter what trials and tribulations you face, He has won; He has overcome the world (John 16:33), and He has supreme authority over all (Colossians 1:15-16).